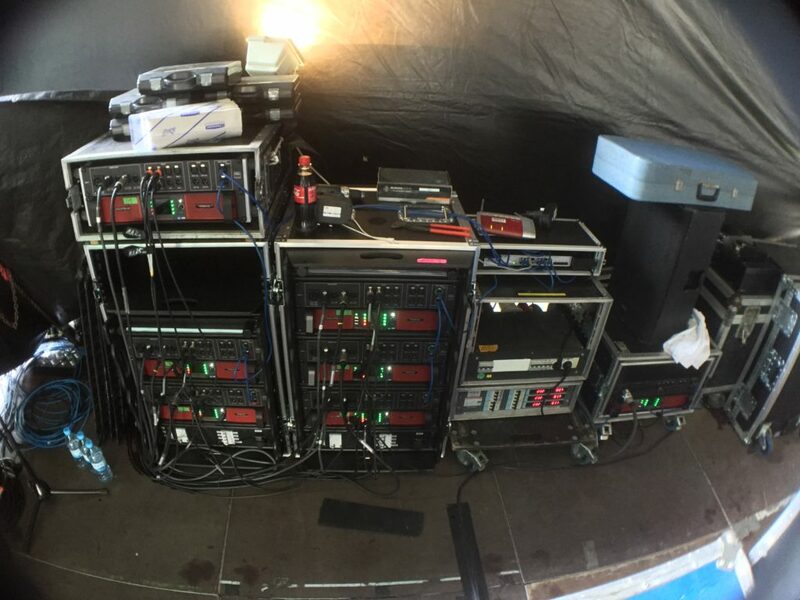 This PA of the Day is from Jan Berger of Germany. This was the main stage at “Landesturnfest” which is a national sports event. It took place at Göttingen, Germany. Three show days packed with public viewing, several interviews and a variety of bands. 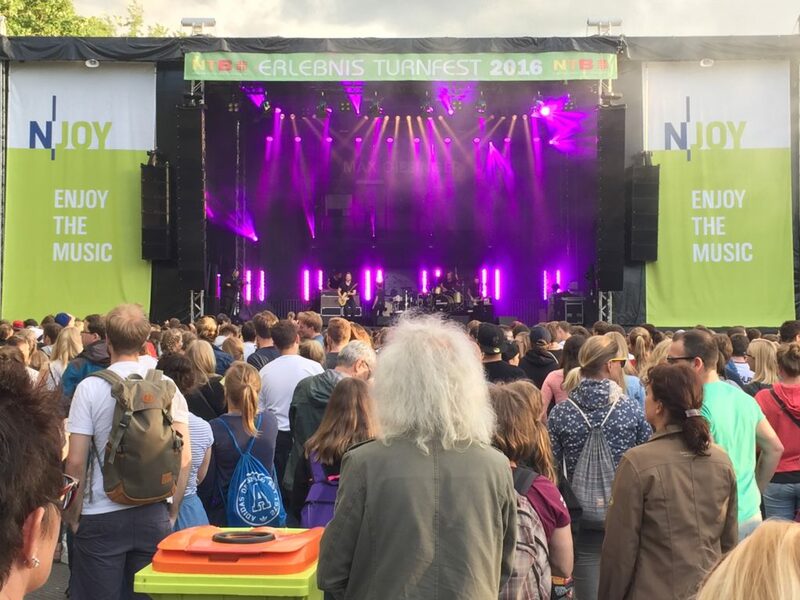 German act Stefanie Heinzmann opened the festival on friday followed by Jupiter Jones, Guano Apes, Max Giesinger and many more. All cabinets were driven by Kling & Freitag System amps which are basically Lab.gruppen PLM 12k44 or 20k44. Desks were a Yamaha CL5 at foh and a CL3 at monitors, signals were splitted on stage and then distributed to individual Rio units. We built up an ethernet bridge from foh to the stage consisting of D-Link DGS1210 switches connected by Neutrik OpticalCon. 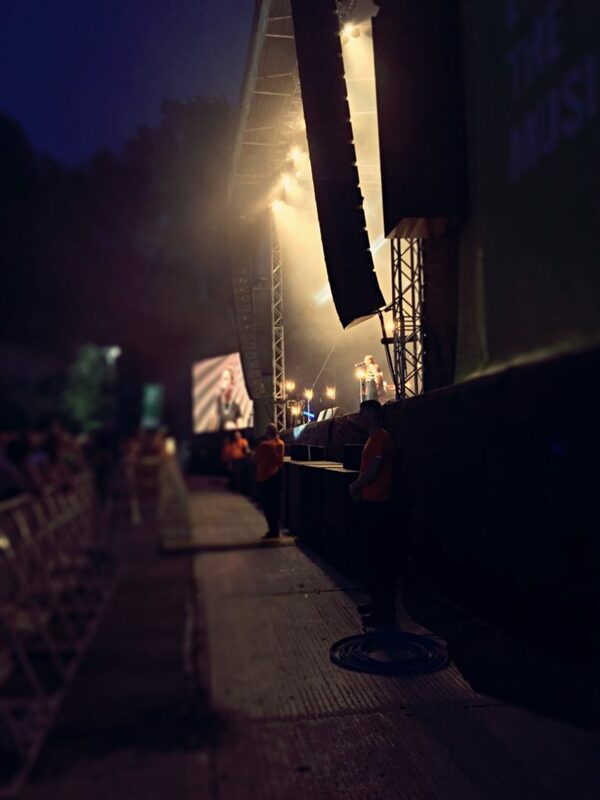 The system gave us a lot of flexibility and was able to transfer Dante Audio Data as well as MAnet light control and several other data streams all on one backbone.